Tatco Ma and I have been speaking for a while now about reviewing some LEAR gear and truth be told this is not the first item I have received from Tat but it is his newest IEM and something I can sense he is very excited to get out into the market – The NatroSound NS-U1 dual dynamic IEM. Tatco Ma is the head of LEAR, a Hong Kong based IEM and customs company that has been operating since 2009 and have grown to become one of the SAR’s leading IEM manufacturers, even being credited “Hong Kong’s Most Valuable Companies Award 2015” from MediaZone, one of the big publishing houses in HK itself. Now if you have heard of Lear then chances are you are running the rule over one of their yummy custom creations which can price in excess of $1kUS and I will get to the review of their flagship, LCM BD4.2 in due course I assure you. But right down at the budget end of things is an all new IEM, the NS-U1 which delivers not one, but two differing sound signatures for the price of HK$1600 and it’s all down to this new technology that Tat calls NatroSound. 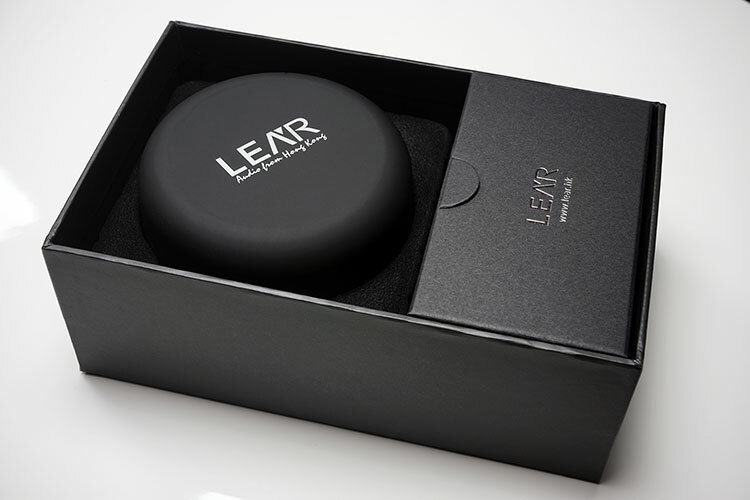 NatroSound is LEAR’s interpretation of how a loudspeaker sound signature should be heard if it was delivered through an IEM, i.e. much closer to the real experience than what current IEM’s deliver. 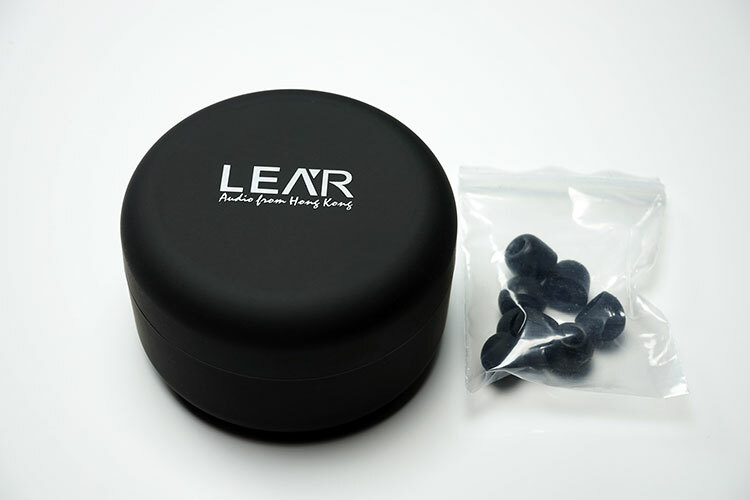 LEAR’s contention is the direct left right input of sound of a traditional IEM gives a rather unnatural sound with a clear separation of right left channels such as you would not find with traditional speakers which have a much more integrated front image sound and thus more natural to our ears. The argument here is that the right ear can’t hear what the left ear is hearing and thus you get what some describe as the “inside your head” sound that is normal for most IEM users. How NS sound differs is that it delivers both right and left sound to both ears in such a way as to recreate the type of sound field you would get with a regular speaker setup using acoustical HRTF simulation earphones technology. Now this all might seem like dabbling with crosstalk to produce a closer field and less left right channel separation but Tatco explains that in reality the technology here is quite different. In the NS-U1 the main units contain two drivers which are not technically dual drivers but housing one traditional dynamic driver for your regular IEM sound delivery and one NS driver unit with a series of acoustic path tubes for the delivery of the NS sound signature. All of this is switchable, meaning you can opt to have a traditional IEM sound from the NS-U1 or choose instead to listen to your music using the NS filter and driver design housed side by side. 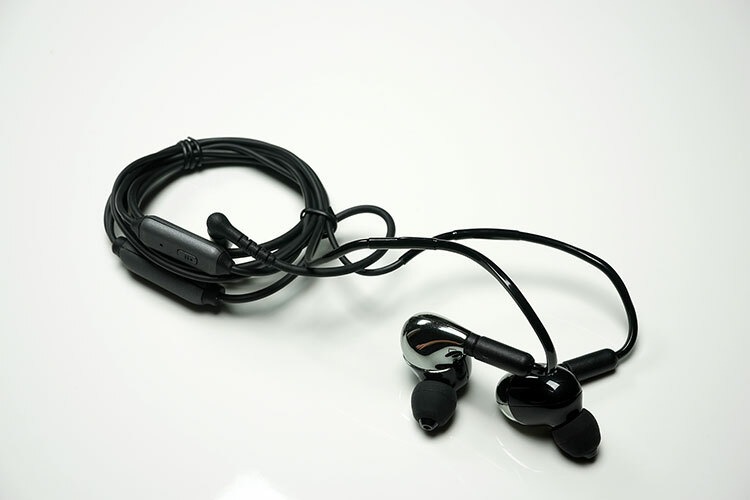 This is achieved by a simple in-line switch on the main cable of the NU-S1 itself. So note this is a hardware technology not a software implementation at play here. I have to admit LEAR do nice package designs and accessories for their gear from budget to flagship. The package itself is nothing too fancy or over-elaborate like say the UE900S extravaganza but it’s really nicely laid out with black coated plastic hard case in which the NU-S1 is carried and a small box to the bottom for the tips and manual. The manual is very useful here actually because the cable itself is quite unique and you do need to understand how to detach and attach it properly which is shown in the manual itself. 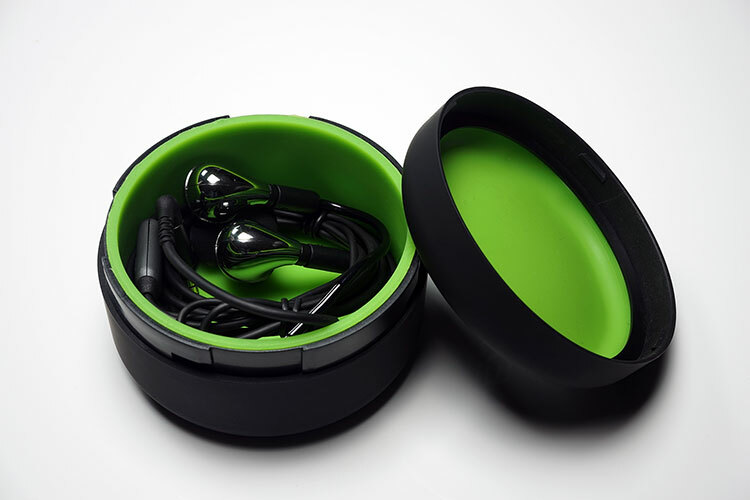 The hard case is a screw type circular shaped pill box case with a black exterior and green interior. The color combination works rather well and the finish is excellent given the price range we are pitching at here. It simply doesn’t look cheap and also feels like it can take a bit of abuse when taking it with you outdoors. The accompanying tips include a set of small, medium and large silicone single bores as well as two sets of foam tips. There is also a single bore silicone medium size tip housed on the NS-U1 out of the box making four silicone pairs in total. If anything the only thing missing for me is a small cleaning pic and a set of double or triple flange tips but I suspect I can beg, borrow and steal flange tips from other units in daily use if needed. The NS-U1 is a big IEM even by big IEM standards. The only unit I have which is considerably larger is the Roxanne and some CIEM’s but those babies have a ton of BA drivers in them. 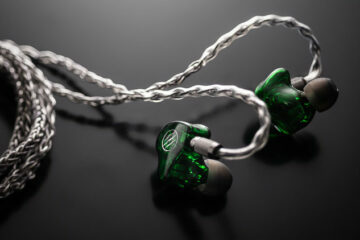 IEM’s with two dynamic drivers are rarely small though so in some ways I am not that surprised with the size of the NS-U1 but it is one of the larger types. The good news is that the NS-U1 is much lighter than I expected being mainly constructed of lightweight but well finished and solid plastics in a two tone chrome and black finish. 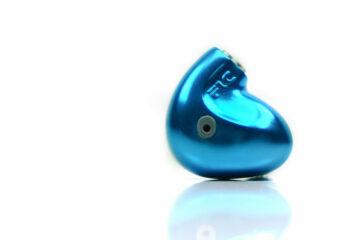 The NS-U1 design is also an over the ear IEM and the nozzle itself is very long indeed. The stock single bore tips actually had a small portion of the nozzle sticking out beyond the tip itself which although didn’t’ cause any issues physically it really shouldn’t be the case so I would encourage you to trade out the tips until you find the best length of tip to suit you. The best seal I got was with the small silicone tips which do not go down as far on the nozzle and keep it covered at the tip and the memory foam tips. I preferred the small silicone tips acoustically over the foam tips also which I will get into on the next page. Isolation wise I found them pretty good with the small tips once deeply inserted with only the mild of the air con behind me to keep me company but most ambient noise was blocked out rather well. There was very little fiddling to get the sweet spot in terms of seal and fitment also but then again I am blessed with universal fit ear canals so the usual caveats apply here. 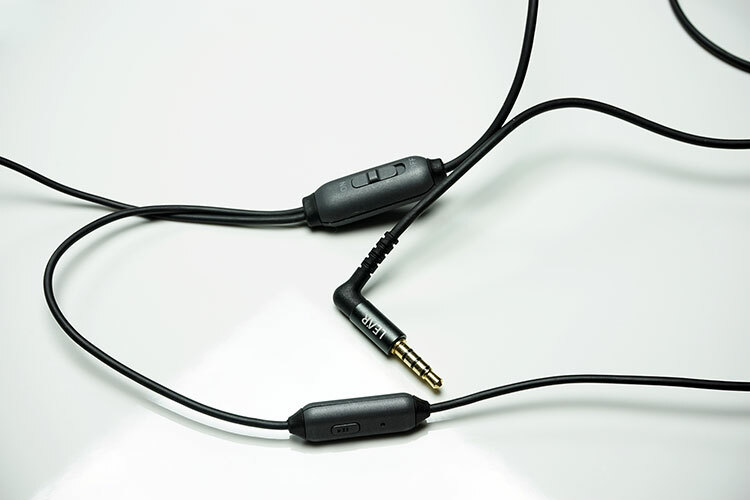 The cables are an important element in the identity of the NS-U1, much more so than a regular IEM cable. These are 4 pin detachable cables and they are four pin to allow the NS technology to deliver the right left mix sound into each individual ear. The NatroSound tech is controlled by a switchable unit inline on the main cable which also doubles up as the y split with resistance rubber on either side. There is also a further inline remote mic/track selector unit on the right side beyond the y split module which works with most Smartphones (tested with Android and Blackberry). The cable itself is memory free and robust but a little springy. It reminds me of the RHA cable a bit in size and quality. Its 1m cable is terminated with a right angled 3 pole gold plated 3.5mm jack with decent resistor strain. On the other end the over the ear memory plastic is a bit stiff in parts though it will do the job. If anything I would like to see any subsequent cables produced have a bit more flexibility to it than this one but it’s not a deal breaker.